I didn’t comment much or blog at all really during the NBA Finals but considering the fact that I’m a LeBron James fan, I was disappointed to say the least at how the series unfolded for the shorthanded Cavs. That said, one can’t help but applaud Steph Curry and the Warriors on the unbelievable and perhaps historic season that they had. Now that both the NBA Finals and Stanley Cup Finals have come and gone though, it’s time for teams to look toward their futures as they set things up for next year and beyond in tonight’s draft (the NHL Draft is tomorrow which is of course of interest to me because of my affiliation with the Washington Capitals) and the free agency period in the coming weeks. No, I don’t have my finger on the pulse of what my Washington Wizards are planning to do with their 19th pick and it’s tough to say who will even be available by that time since so much can happen in picks 1 through 18 but I get the sense that re-signing Paul Pierce is just as important as who they wind up with in that first round. I suspect that GM Ernie Grunfeld will take whoever is the best player on the board at that time. With that said, of particular interest to me is what winds up happening through the first five or six picks tonight. Every single one of those first six picks is essentially a crap shoot. 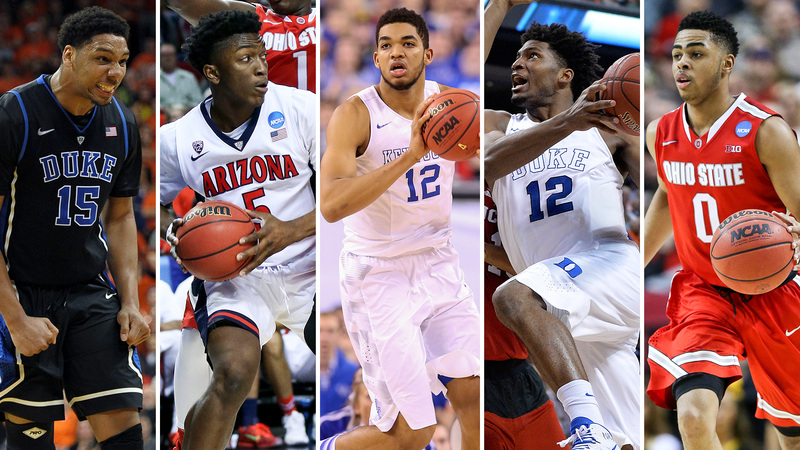 Will Karl-Anthony Towns or Jalil Okafor be the number 1 pick? Will the Lakers successfully trade out of the number 2 spot as they attempt to pry Demarcus Cousins from the Sacramento Kings? Will Philadelphia take D’Angelo Russell or the 7’2″ Latvian, Kristaps Porzingis who will undoubtedly be a long term project? Perhaps the Lakers shock and take Russell early in which case Philadelphia will have to take whoever the Lakers passed on, right? Will the Knicks make the riskier and potentially unpopular move and take Porzingis if the 76ers take Russell? Do Justise Winslow, Emmanuel Mudiay and Mario Hezonja go 5, 6 and 7 and in what order? 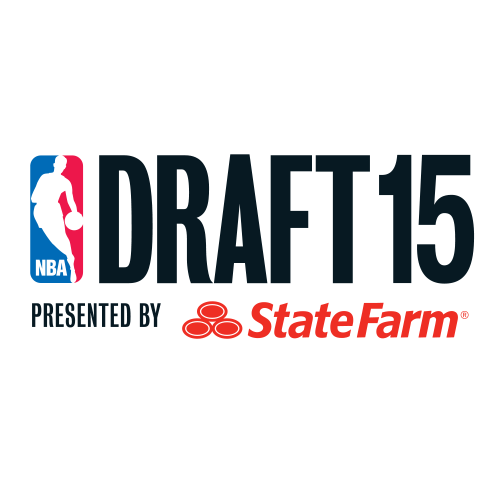 How many Kentucky players will be selected in the first ten picks? Finally, where does this year’s collegiate player of the year Frank Kaminsky end up, if in the first round at all? All of the possibilities and permutations are what make tonight so interesting though. I don’t see the Lakers/Kings trade coming to fruition. I can’t imagine Sam Hinkie passing on Russell for Porzingis is he’s available but who knows what the 76ers are liable to do. Mudiay and Winslow are safer bets for Phil Jackson so I see him taking that route as opposed to potentially swinging for the fences with Porzingis. It’ll be pretty interesting to see how it all unfolds at 7PM tonight.